The pre-primary section of Seedling Modern Public School provides a unique, innovative, fun-filled, specially designed childcare programme, which introduces young children from the Nursery to the exciting and fascinating world of learning. The school uses the play way technique for teaching and is extensively equipped with educational tools and toys. The school prepares the little ones for formal schooling, imparting the school going habit and enabling the tiny tots with a sense of self sufficiency and contentment. The school has a spacious activity room, well-stocked with educational play stations toys and games for Pre-Primary children, to develop their creative faculties. 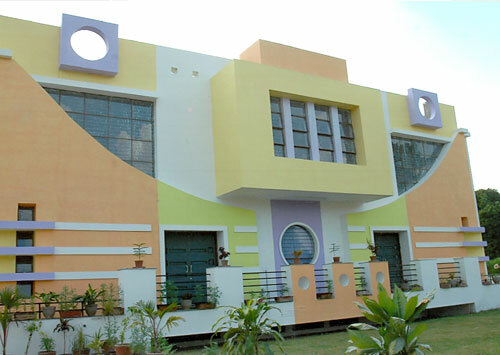 A multipurpose hall with a Doll House, Theatre, Mini Library and self-expression corner has been furnished. Educational songs, nursery rhymes with actions, story narration, display charts, flash cards, puppets, educational toys, craft work are the interesting play way techniques which are a forte in the Pre-Primary school. The focus here is on preparing the little ones for formal schooling. The tiny Seedlites enjoy a number of activities which enable them master, sensory and motor skills. Learning is made interesting, fun and activity oriented at this level. Participation of the students is encouraged through such activities as drawing and coloring, writing, group games, clay modelling, puzzles, flash cards and conversations. Poems and stories are dramatized using expressive actions. Focus is on developing communication skills and on reinforcing an innate sense of discovery in everything that is taught. Children learn to comprehend through a multi sensory approach as concepts in Number Work, English and E.V.S. are made clear with the use of multimedia. Nature walks and regular educational tours to the Zoos, Railway Museums and Game Parks develop a sense of openness towards the world. SEEDLING GROUP OF SCHOOLS are with a difference. It inculcates aspects of the "innovative child centered approach" to lead more meaningful outlook to the educational system. Copyrights © . SeedlingUdaipur.org. All Rights Reserved.